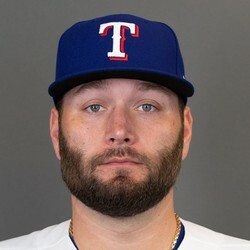 Lance Lynn allowed two runs on seven hits, three walks, and two strikeouts through 5 2/3 innings pitched on Wednesday against the Angels. Lynn's performance put his ERA at 4.44, WHIP at 1.32, and has now recorded 21 strikeouts through 24 1/3 innings pitched. He's not a super reliable option but has the ability to perform with the right matchups.